The players arrived with, depending on the source, three or four counter-proposals. An hour later, Gary Bettman left having rejected three of them with a discouraged look and more strong rhetoric for the cameras. Meanwhile, the players continue not playing (at least on this continent), and fans continue watching something else. Perhaps Bettman will cancel the Winter Classic in usually hockey-crazy Detroit while the Tigers are playing in the World Series next week. That might be the perfect next public relations step for a game that’s soiling any/all good will they had built with a fan base that’s been burned too many times – more than any other major professional sport- in recent years. Don’t see the Owners backing down… so basically the season is over based on Player’s counter or lack of. Give in and play… the “lost year” will cost them more in real money!!!!! According to Sid Crosby the Owners rejected all 3 offers the NHLPA made in 10 mins. That is a pretty BS move by the Owners. If they think the players are going to continue to give concessions they won’t. And the “Make Whole” Provision in the Owners last proposal is absolutely ridiculous. Why should the players pay for Players salaries out of their share of HRR? Bettman should be removed immediately. 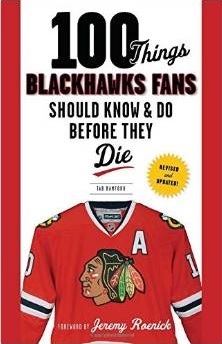 And to hear that the NHL went and got the lawyers the NBA used, it sure seems like there is a playbook for Owners in handling negotiations, which is unfortunate. Who’s going to remove him, Ryan? It takes 23 to do that. As a long-standing partial season ticket holder I have concluded, very sadly, that there will be no 2012-13 season. It’s over. The owners are being so tough in negotiations because the league over-expanded and there are several clubs in genuine financial trouble. Count Chocula the Commissioner and the owners aren’t backing down. And the Human Hemmoroid better known as Donald Fehr knows this. But the problem is Fehr is being paid a lot of money from the players and won’t admit personal defeat. It’s over. We can ultimately thank Gary Bettman for this mess. There needs to be contraction before the owners and players can come together on a real deal. And contraction means less player jobs. So either way the players are fucked no matter if they agree to the deal today (which they won’t) or they let the process unfold and come crawling back on their knees next summer (which they will). no season— and Players will crumble next year or league contraction -which means less revenue for league and less jobs for players… players get double dicked!!! but I guess they can’t figure that out! not taking any side- just stating the facts… If a business/team keeps losing money it has to fold sooner or later. Or it has to change it’s biz/model to try to make money. A player making 2 mill or 2.3 mill /yr. is still making a damn good living doing something they love… and I know they only have a few limited years to earn/play! WHICH IS EXACTLY THE REASON THEY WILL HAVE TO CAVE 1ST!!!!!!!!!!!! Wall unlike most Management/ Worker negotiations the Players are the product. They get paid a lot because they are the best at what they do and we enjoy watching it. The Owners also know that without the best players in the world their league is garbage. Wall and Ryan… both good points, which is exactly what the problem is right now. I dont know if this is too easy of an idea… or exactly what the counters were… but why cant we a see a 53-47 deal phased down to 51-49 in .5% decreased over the next 4 years. Players get over 50/50. Owners get them down from the current 57. Fans get NHL hockey this year… wouldn’t everyone be happy with that?